--Linn County Sheriff's Search and Rescue on Monday afternoon recovered the body of a mountain climber from Bend who fell several hundred feet and died Sunday near the summit of Three Fingered Jack in the Mount Jefferson Wilderness. To read more, click here. 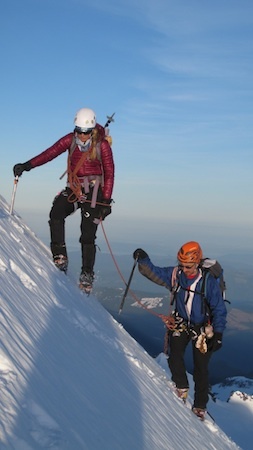 Liz Daley guides a climber up the North Ridge of Mt. Baker. --Timberline Lodge, the only ski area in the United States to offer near year-round skiing, is facing a dilemma. The Palmer Snowfield on which Timberline Lodge offers skiing and riding is melting, fast. In a rare move, Timberline Lodge closed early this year due to lack of snow. To read more and see photos, click here. --The U.S. Forest Service is moving 15,000 cubic yards of contaminated soil from popular hiking trails near the Monte Cristo mine in the Mt. Baker-Snoqualmie National Forest. The site was a gold dig area for decades starting in the early 1890s. Miners left waste rock behind, filled with high levels of arsenic and lead. USFS received $11 million from a bankruptcy settlement to fund the project, which has drawn criticism. Some believe the landfill where the dirt is going to be stored has not been properly stabilized. It is also less than 200-feet from Glacier Creek and hiking trails. To read more, click here. --So, a father and son team shot a bear with an arrow. The bear was angry and came after them. And now -- unless the bear died -- there's a bear running around out there somewhere with an arrow sticking out of it... To read more, click here. --A camera was found near the Goat Flats in the Three Fingers area. The person who found it has the memory card. To read more, click here. --It appears that there was a fatality on Mt. Whitney last week during a rain storm. However, there is little information on it at this time. Supertopo has a thread on the incident, here. --Ski mountaineer and guide Bela Vadasz died last Tuesday. Outside of California’s Sierra Nevada, many may not know his name, but his impact on the backcountry community stretched far across the world. To read more, click here. --A young mountain lion is fighting for his life after rescuers were lucky enough to find him among the rubble and ruins of California's rampant wildfires. The 3- to 4-month-old cub was found early last week, underweight and singed from the flames. To read more, click here. --A hiker was injured in Ice Box Canyon this week. To read more, click here. --A federal jury on Monday convicted a Colorado man of murdering his wife by shoving her from a cliff while they hiked in Rocky Mountain National Park on their 12th wedding anniversary. Harold Henthorn, 59, had claimed that his wife fell 130 feet to her death while pausing to take a picture on Sept. 29, 2012. But after 10 hours of deliberations, the jury in Denver convicted him of first-degree murder. A life sentence is mandatory when he is formally sentenced in December. To read more, click here. --A climber was rescued at Hanging Rock State Park Thursday night in North Carolina. To read more, click here. --A climber was injured in a fall at Signal Mountain in Tennessee. To read more, click here. 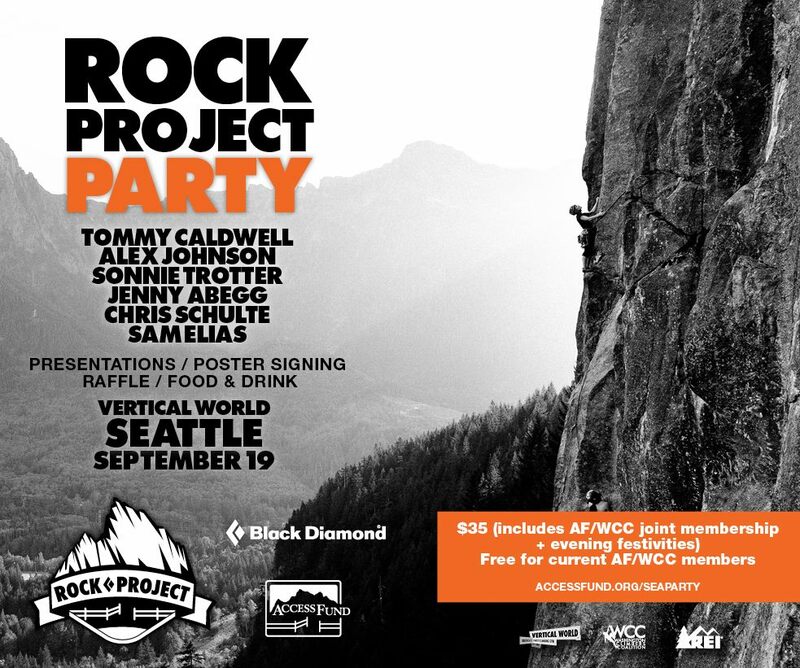 --The American Safe Climbing Association is making a push for funds to replace bolts throughout the US. To read more, click here. --O Friday, the U.S. House Committee on Natural Resources’ ranking member, Rep. Raul Grijalva (D-Arizona), and five other Democrats formally introduced a new bill in an effort to bring more funding to national parks, according to Environment & Energy Publishing. To read more, click here. --The National Park Service announced Monday that electronic cigarette use is now banned anywhere smoking is prohibited on its vast and far-flung landholdings. National Park Service Director Jonathan Jarvis publicly announced the new policy in a press release, describing it as a step to safeguard people’s health – fighting words for advocates of the devices, which vaporize liquid that's generally laced with nicotine. To read more, click here. --A youth climbing team in Alaska is looking for funds to travel to climbing competitions. To learn more, click here. --A climber killed in a fall at a mountain in Mount Rainier National Park has been recovered. The climber fell Sunday while climbing The Chief, a peak of Sluiskin Mountain located northwest of Mount Rainier. According to the National Parks Service, the climber was part of a party of three camping and climbing in the Lake Crescent area. 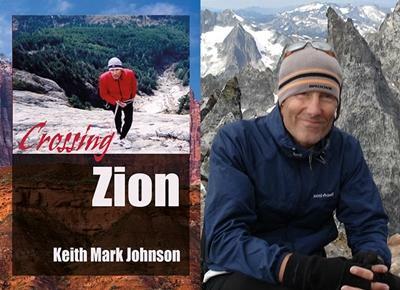 The climbing team gained the 7,026-foot summit, but the climber fell on the descent. To read more, click here. --Check out the ROCK PROJECT this weekend in Index. The event is brought to you by the Access Fund. AAI Guides Mike Pond and Chad Cochran will be teaching. To learn more, click here. --It looks like many of the Pacific Northwest fire bands have been lifted. To read more, click here. --A new route has been climbed on Mt. Triumph. To read a trip report, click here. --The recent "renaming" of Denali has brought up several other place names that should have a conversation about naming. The most egregious places are not those that have had their native names taken away, but those that have had racist names applied to them. To read more, click here. --Oregon’s Mt. Bachelor is facing more than $20 million in lawsuits accusing it of negligence in building its terrain park, and so far the courts have not been the resort’s favor. To read more, click here. --Legendary mountain guide Bela Vadasz passed away yesterday at the age of 62. Bela was a technical director of the International Federation of Mountain Guides (IFMGA), Owner of Alpine Skills International (ASI), a fully IFMGA certified mountain guide, recipient of the American Mountain Guides Association’s Lifetime Acheivement Award, and absolute god on skis. To read more, click here. --Hans Florine of the Bay Area has completed his 100th ascent of the Nose Route of El Capitan in Yosemite National Park. To read more, click here. --California's snowpack was the worst it's been in 500-years. To read more, click here. --Four people were found dead and three people were still missing Tuesday after flash floods in Utah's Zion National Park Monday, officials said. The deaths occurred as a group was exploring Keyhole Canyon. In a community to the south of the park, flash floods Monday also killed at least 12 people. The National Park Service said 0.63 inches of rain fell over Zion National Park between 4:30 p.m. and 5:30 p.m. Monday, causing flooding. To read more, click here. --The Red Rock Canyon National Conservation Area Campground has reopened. --The Los Angeles Times ran a story on the Red Rock Canyon program that AAI helped to facilitate with the Bureau of Land Management. To read the story, click here. --In a long-sought victory, a group of preservationists has completed the acquisition of a 690-acre land parcel west of the western entrance to Joshua Tree National Park. Ten years in the making, the Joshua Tree-based Mojave Desert Land Trust — which since 2006 has purchased 54,000 acres of desert land for protection — plans to restore the property, called Quail Wash, and to donate the parcel to the national park. To read more, click here. --Climbers universally do better at the American Ninja Warrior than non-climbers. It appears that professional climber Isaac Caldiero, recently won $100,000,000 at the event. To read more, click here. To see his final run at the event, click on the video below. --Dr. Matt Davis was killed in a fall on the Crestone Needle. It appears that he unroped in a section where people commonly unrope and slipped. To read more, click here. --Here's an interesting article about the demise of Branner Snowboards, a boutique splitboard company. --Local Summit County resorts are putting the finishing touches on their annual round of upgrades. This year’s changes might not be as obvious to skiers and snowboarders as in 2014-15, when Arapahoe Basin Ski Area’s $2.3 million kids center became the fourth building in its base area, Breckenridge Ski Resort put in a higher-capacity Colorado Superchair and Loveland Ski Area constructed an on-mountain cabin. Vail Resorts is focused on Utah this year as it integrates the resort formerly known as Canyons into one unified Park City. Local ski area visitors can expect remodeled buildings, more snowmaking and new app features for the 2015-16 winter season. --So there is a trail that has been closed because of too many bear selfies. In other words, some idiot takes a picture of him or herself in front of a bear. To read more, click here. --An accident took place in Canada near Field, but little else is known. To see the info available, click here. --A 62-year-old man used his cellphone to call 911 after he was mauled by a bear while walking a neighbor's dog in Alaska woods, authorities said Monday. Danny High of Funny River, Alaska, was in intensive care at Harborview Medical Center in Seattle. Hospital spokeswoman Susan Gregg said his family doesn't want details released about his injuries. To read more, click here. --DMM has issued a carabiner recall. To read more, click here. --Toronto firefighters staged a potentially dangerous rescue to save a climber who got stuck near the top of the Scarborough Bluffs. Toronto Fire Capt. Mike Strapko said the climber's brother reported the emergency around 2:13 p.m. after the man couldn't top an edge near the top of the steep cliff near the Bluffer's Park Beach. To read more, click here. --A recent analysis of avalanche fatalities on the worlds highest peaks suggests that 75% of those fatalities were the result of poor decision making and forecasting. To read more, click here. --If nothing is done, then by the middle of next year the world will run out of one of the safest and most effective treatments for snakebites. This could lead to tens of thousands of preventable deaths, warns the international medical organization Doctors Without Borders (MSF), which urges the global health community to take action in tackling one of the planet’s most neglected public health emergencies. To read more, click here. --Ultramarathoner Scott Jurek will pay a $500 fine for drinking atop Mount Katahdin in Maine after his record-breaking Appalachian Trail run as part of a plea bargain in which two other citations were dismissed. District Court Judge Kevin Stitham approved the plea deal during a hearing Wednesday in Millinocket District Court. To read more, click here. --It was announced last week that 21st Century Fox and the National Geographic Society are creating a for-profit, commercial company that will encompass all National Geographic properties, including its magazines, websites and television channels. Fox will own 73% of this new company. To read more, click here. 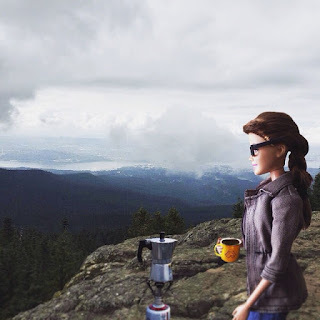 Hipster Hiker Barbie uses canister stoves. --So, Hipster Hiker Barbie is a thing... Who woulda thunk? --The North Cascades will have the biggest single year glacial volume loss in fifty-years this year. To read the depressing news, click here. --Zion National Park’s trail crew will be working on two of the bridges along West Rim Trail from Sept. 21 to Oct. 15. Due to the locations of the bridges and the work needing to be done, portions of the West Rim Trail, including the section needed to reach Angels Landing, will be closed intermittently. These closures will affect both day hikers and those wishing to obtain wilderness permits for canyoneering and overnight camping/climbing. To read more, click here. “You have rocks. Right out there,” Christie said. “What the hell do you need a rock climbing wall for? Tell the kids at UNH, ‘Go outside and climb those rocks.’ Not the rocks inside. Climb the other rocks. --A psychology student is looking for volunteers to participate in a study on personality traits in climbers. To participate, click here. --Mt. Malaspina (12,388') in the Yukon has seen only only one documented attempt in 1976. In mid-August, Camilo Rada and Natalia Martinez became the first to summit the peak, the highest named, unclimbed peak in North America. They rated their 6,000-foot line up the peak's East Ridge TD AI2 55-65 degrees. To read more, click here. --Scott Bennett and Graham Zimmerman completed a new route on K6 West in Pakistan’s Karakoram in late August. It was their second first ascent since arriving in the Nangmah Valley in July. To read more, click here. --The lawyer for a runner who set a speed record for completing the Appalachian Trail is set to meet with a prosecutor and judge in Maine to see if a settlement can be reached over citations issued for violating rules in Baxter State Park. Scott Jurek of Colorado was cited for drinking Champagne, littering and hiking in an oversize group when he reached the summit of Mount Katahdin in July. To read more, click here. 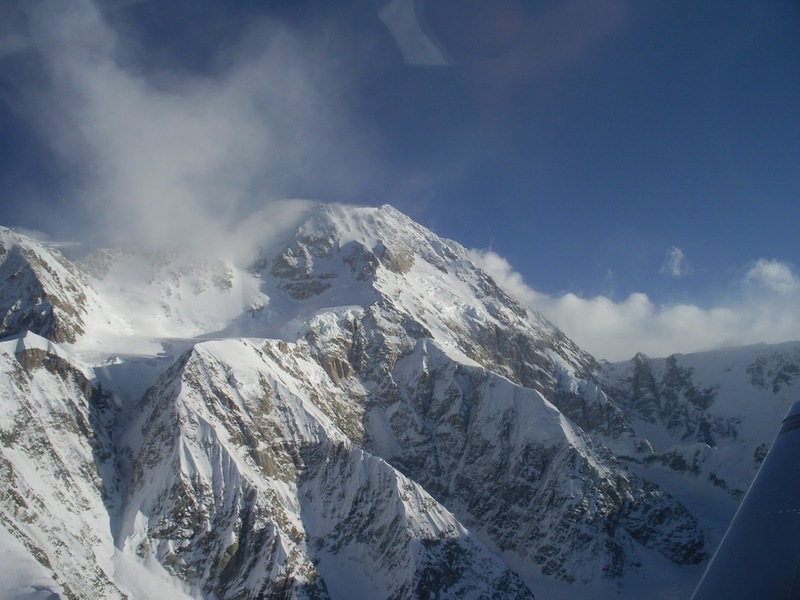 --Denali is officially 20,310 feet, ten feet shorter than previously thought, the U.S. Geological Survey (USGS) announced last week. To read more, click here. It was a cold night, and I found myself on top of Liberty Bell shivering. My co-instructor and I had decided to do a double-whammy in Washington Pass: climb the South Arete of South Early Winters Spire and then the Beckey Route on Liberty Bell in a day with our students. So we executed a planned bivy on the summit of Liberty Bell, and packed light because we also had to carry extra water, first-aid kits and of course a rock rack while leading. But as the temps dipped into the 40's, I found myself regretting the decision not to bring a sleeping bag. I had all my warm layers on, but still shivered through the night and barely slept at all. That's when I resolved to invest in an ultra-lightweight sleeping bag for climbing trips, and ended up buying a Z-Packs 40-degree down sleeping bag (Full disclosure: Z-Packs gave me a discount on my purchase in exchange for writing a review). Overall, I have been impressed with this bag. My 40-degree bag squishes down to about the size of two Naglene water bottles put together, and Z-Packs sends the bags out with lightweight and strong Cuben fiber stuff sacks. The bag is filled with 900-fill down inside a ripstop nylon shell and holds true to its temperature ratings--it's kept me warm and cozy on trips to climb Mt. Russell, in the Emigrant Wilderness, and on multiple Mt. Baker summit climbs. The 40-degree bag is incredibly lightweight at just 11.4 ounces, and it's also available in 30-degree, 20-degree, and 10-degree versions. These are great bags for ounce-counting climbers operating in environments where they can depend on staying dry (it's not water-resistant down, so if you've got rain in the forecast stick to a synthetic bag). One of the main ways Z-Packs able to make the bags so light is by cutting out any extraneous features. Since a lot of people don't use the hoods of their sleeping bags unless it's REALLY cold out, they cut out the hood altogether and the bag just goes up to your shoulders and cinches down with a drawcord. The zipper also only goes 3/4 of the way down and is designed for you to lay on top of it instead of using a draft tube to trap heat. The cuts to these features means it's not most tricked-out bag with all the coolest design items. But it's simple, light and has what you need, which for minimalist climbers is all you ask for. --Glaciers on Mount Baker and other mountains in the North Cascades are thinning and retreating. Seven have disappeared over the past three decades, and the overall volume of glaciers in the range have lost about one-fifth of their volume. The shrinking glaciers here mirror what is happening around the U.S. and worldwide: As the planet warms, glaciers are losing volume, some faster than others. To read more, click here. --The family of a woman who was rescued after being stranded in the rugged Sierra Nevada for nine days said Sunday that she is recovering from surgery to set the broken bones on her lower left leg. Miyuki Harwood's family said in a statement that she has asked for "uninterrupted rest and quiet." Harwood, 62, was found Saturday morning in a remote area of the Sierra National Forest after she used a whistle to get the attention of a search and rescue team looking for her. To read more, click here. --The search continues in the Sandia Mountains for a missing climber. The team is looking for 40-year-old Bryan Conkling who failed to return after a weekend trip. To read more, click here. --The eastbound U.S. 24 exit to Manitou Springs was closed Monday afternoon after a climber fell in the area, according to a tweet by Colorado Springs Traffic. To read more, click here. --Vail Resorts and the town of Breckenridge have reached an agreement on a November ballot measure that will ask the town's voters to approve long-term funding for parking projects through a tax on winter-only lift tickets, but not season passes. The deal drops Vail Resorts' wildly successful Epic Pass from the tax plan to impose a 4.5 percent tax on lift tickets to raise money to support the town's parking and transit projects. Vail Resorts is guaranteeing the tax will raise at least $3.5 million a year for the town. To read more, click here. --Vail Resorts will spend $100 million to $115 million on improvements at its nine ski areas for the 2015-16 winter, pushing the resort operator's five-year mountain investments beyond $500 million. To read more, click here. --In huge news for Alaska, President Obama announced on Sunday that Mount McKinley was being renamed Denali, using his executive power to restore an Alaska Native name with deep cultural significance to the tallest mountain in North America. --Some people are pretty upset about the renaming of the mountain that we all called Denali anyway. To read about it, click here. --For those who are freaking out about this, here's a nice piece on why you shouldn't be freaking out. If you're a regular on our blog, you'll note that we never call in McKinley. So maybe this article isn't for you, but for your relative that's freaking out. --A climbing accident has killed two men in Wyoming's Wind River Range, marking the second double climbing fatality in the state in a week. The Fremont County coroner's office identified the victims from Friday's fall as Jonathan Peter MacDonald, 23, who lived both in Lander, Wyoming, and Scottsbluff, Nebraska, and Keith Murray Henderson, 57, of Cheyenne. To read more, click here. --A 21-year-old Moran, Wyoming man was rescued from the Middle Teton after a fall Saturday afternoon. Justin Bodrero fell about 100 feet on a snow field and another 100 feet into a boulder field while descending the mountain. To read more, click here. --The National Park Service’s 100th anniversary is being celebrated in 2016, and the party starts early for families with kids in fourth grade for the 2015-2016 school year. As President Obama announced earlier this year, the parks service is launching a special initiative for the centennial to help engage and attract children and families to our national parks and the great outdoors. It is called Every Kid in a Park, and starting September 1, all fourth graders in America are entitled to a free Every Kid in a Park Pass, which grants free admission for one’s family—or an entire car-full at locations that charge by the car—to all U.S. national parks, forests, monuments, and wildlife refuges. AAI Director Dunham Gooding is on the NPS Centennial Committee helping to plan the celebration. He recommended this idea based on the popular free 5th Grader program at Mt. Baker Ski Area. To read more, click here. --Officials are threatening to reroute the end of the trail off Katahdin and out of Baxter State Park. The idea has stunned the hiking world. Katahdin has been the trail’s northern terminus for more than 80 years. For the thousands who set out annually to follow its entire path, moving the trail’s endpoint off the rocky peak would be a momentous detour, forcing long-distance hikers to end their treks not with a bang but a whimper. To read more, click here. --Despite recent calls by some to charge uninjured recreationalists who call for help for the cost of their rescue, local search and rescue volunteers have historically opposed the idea. To read more, click here. Smoke rises from a small wildfire. --Wildfire is a striking story, often filled with the drama of danger. But there's a narrative missing from many of the reports: We need more controlled fires to prevent these runaway infernos, said fire historian and Arizona State University Regents’ Professor Stephen Pyne. To read more, click here. --A 6-year-old girl in Austria is being sued for roughly $38,000 for causing a skiing accident that left an adult woman seriously injured and no longer able to ski. The child, who was part of a ski school group, allegedly made a sudden turn into the path of the woman and a judge will now have to decide whether the child can be held legally responsible for her actions. To read more, click here. --The 12,740-acre Wasatch Peaks Ranch in Utah – part of an 11-mile Wasatch Mountains’ ridgeline of 24 peaks and 15 bowls that offers 4,600 vertical feet of snowy relief only 15 minutes from Ogden – is available for $46 million. The goal is to develop this area as a ski resort. To read more, click here. --Two bills currently making their way through Congress should anger any American who cares about the nation’s forests. Introduced this summer, both bills are pro-industry and anti-environment — and seek to eliminate the public participation in federal decisions about forest management that could negatively impact local communities, ecological health and wildlife. To read more, click here.